Tom Bell Fire Equipment, LLC "THE EXTINGUISHER" is a family owned and operated company. We are very proud of our excellent history of reliable and timely service work in the fire industry. Whether you are starting a new business or just need an inspection, we want to be the f﻿ire equipment company you call first. No job is too large or too small for Tom Bell Fire Equipment. Our highly skilled service team will assess your needs and discuss your options with you. Providing Fast, Professional Service at Competitive Prices is Our #1 Goal! We don’t just service fire extinguishers, we check for trouble spots you may not have been aware of. Our service technicians are knowledgeable and well trained. We offer 24-hour emergency service and are always on call when you need us. 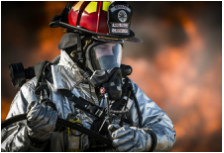 Your resource for links and articles to learn more about fire safety and the fire equipment service industry.